By the early 1990s, it was clear that the Apple II was on its last legs. The product line had been running since 1977, with various updates along the way. The plan had always been to eventually phase out the Apple II in favor of the Macintosh. However, the Mac initially suffered disappointing sales. It also took several iterations for the Mac to truly find its feet. Meanwhile, the Apple II benefited from being a mature product at that point. In 1991, the 1983-era Apple IIe could still be found in many schools, a market Apple traditionally excelled in. Letting Macs emulate the Apple IIe proved enticing for penny-pinching schools. Institutions that previously invested in Apple II software would not be throwing away all that money when switching to Mac. 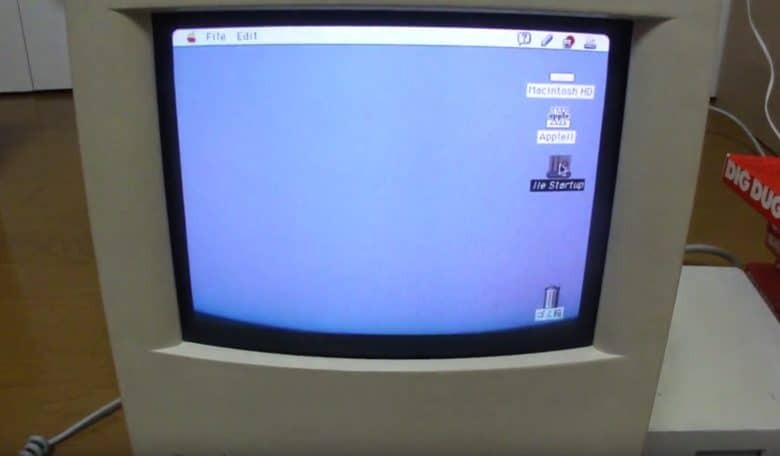 The strategy seemed to work: Just two years later, Apple made a big splash in the educational market with the Macintosh LC 520, which found a place in many 1990s schools. The Apple IIe Card boasted a 65C02 processor, 256K memory and a port for supporting a 5 1/4-inch Apple II floppy drive and joystick. The emulator software shipped on a 3.5-inch floppy disk, allowing the Mac to run Apple II software from inside Mac OS. However, you could not multitask between Mac apps and Apple II programs. The Apple IIe Card ran on the Mac LC, Color Classic and early Performa models. It worked with Mac System 6.0.8 through 7.5.5 (the final version to support a 24-bit mode). Apple discontinued the Apple IIe Card in May 1995, two years after the final Apple II debuted. Still, the peripheral achieved its purpose. It squeezed a couple more years out of the Apple II, easing the transition from Apple II to Macintosh for customers still clinging to the past. Do you remember Apple II emulation on the Mac? Leave your comments below.